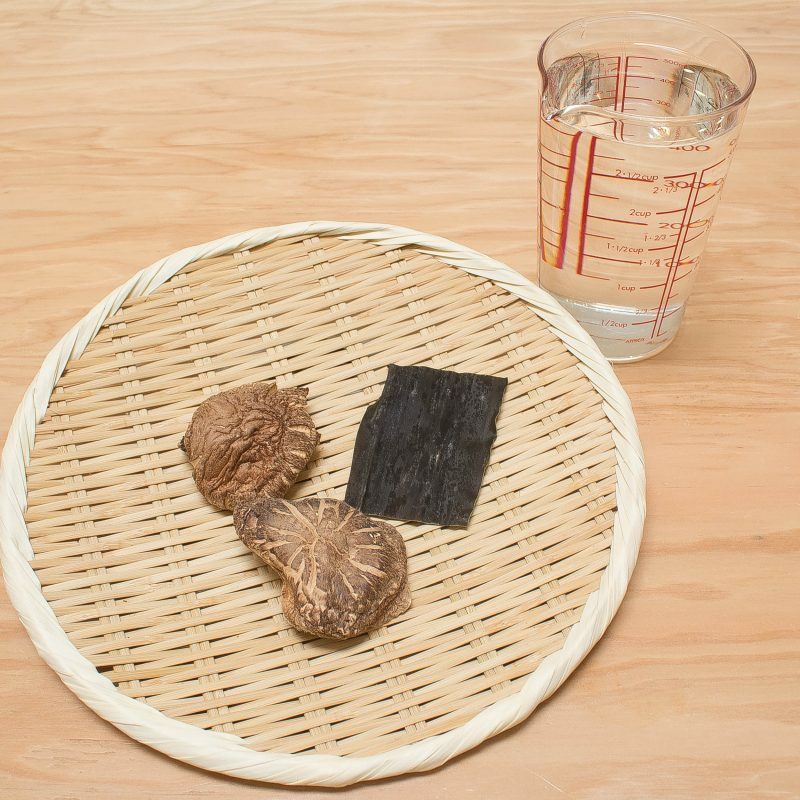 Combine the kombu and dry shiitake in a bowl. Add the water and leave for overnight in refrigerator. 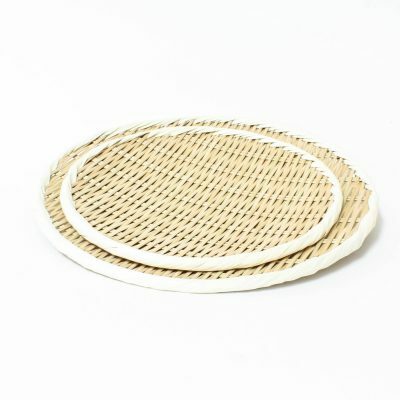 Remove the kombu and shiitake. The dashi is ready. 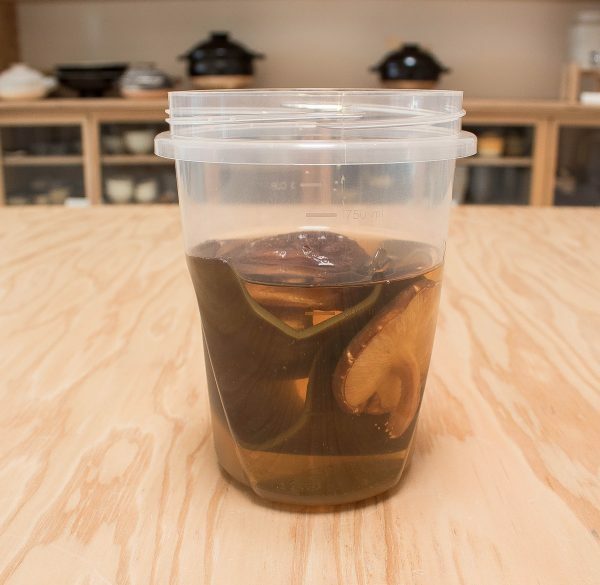 Tips: After the infusion, kombu and shiitake can be kept in the water and heated together for even richer dashi. 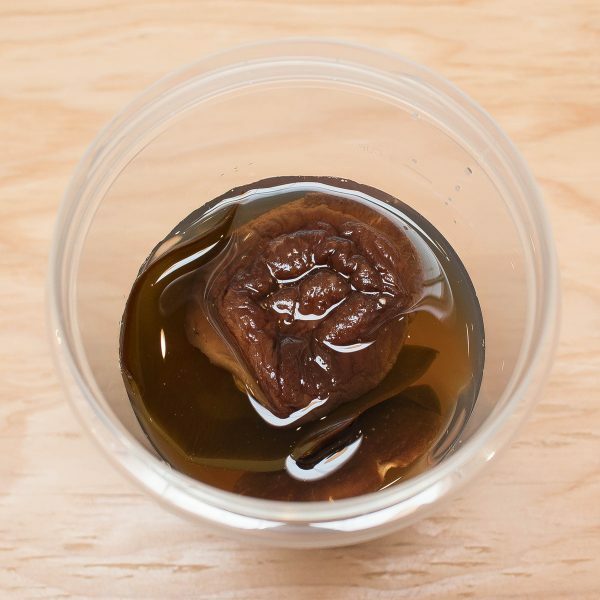 Shiitake can be sliced (after discarding the stem) and cooked in a soup, etc. After overnight, the dashi is ready. 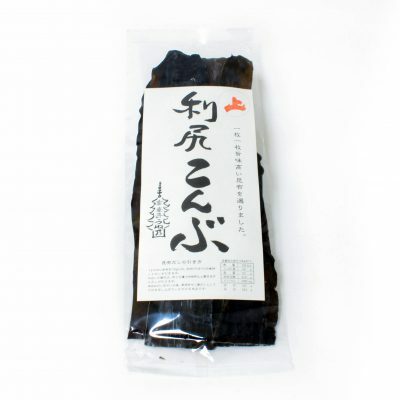 Both the shiitake and kombu after infusing are also good to cook with the dashi and taste so good.